Tuesday 20th May 2014 – 6.45am – Murray MacGregor. A man who launched himself at a friend in an inflatable ‘sumo suit’ ended up flying rather further than he expected – at 160mph in an air ambulance. West Midlands Ambulance Service was called to an event at Kemerton Park in Kemerton near Tewksbury at just after 6.00pm on Monday evening. The 40 year from Southampton had been with work colleagues enjoying the event which included blow up sumo suits. 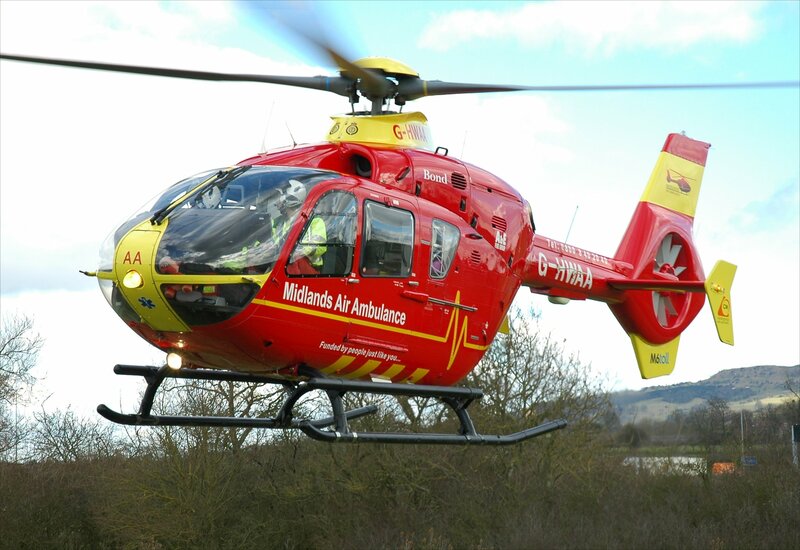 A West Midlands Ambulance Service spokesman said: “A rapid response vehicle and the Midlands Air Ambulance from Strensham were sent to the scene. “On arrival, ambulance staff were told that the man had ‘launched’ himself at a colleague, but when he bounced off he fell backwards and landed on his back and head. “The man was knocked unconscious for a short period before coming round but he was not fully alert. He was complaining of pain in his nose, left shoulder and left leg.